Bigfoot or HUGE Black Bear? 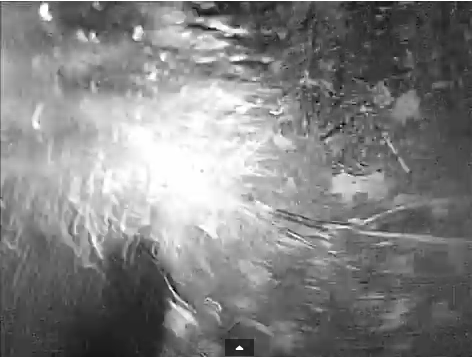 This is trail-cam footage taken by Scott Carpenter. What do you think this is? A Bigfoot, a bear, a porcupine, or a Hoax? "The trail camera in this footage is 10 feet off the ground. The subject is standing flat footed on the ground. The world record wild Black Bear weighed 880lbs and had a reach of 9 feet. If this is a Black Bear then it is a potential world record.....I am 70/30 toward a huge bear, but the behavior is suspect." I know this guy, He is a fake. Wants to get attention and seek fame with hoaxing partner Melba Ketchum.